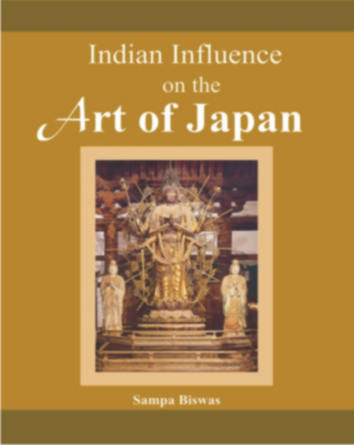 Indian Influence on The Art of Japan (AD 538-1333) provides a comprehensive study of how Buddhist Philosophy and religious concepts completely changed the socio-religious environment and consequently the artistic creations of Japan. The remarkable ability of the people of Japan to comprehend the essence of Buddhism was the key element which helped in transforming the existing Japanese society into a much higher and elevated level of culture. This book makes a meticulous study of the truimphant march of Buddhism and the power of the Japanese people to assimilate the foreign culture, effected through the study of the translations of Buddhist Sutras and also in transforming the art scene which was essentially derived from the cultural heritage of India, as well as that of the Orient. Temporally, the scope of the book is expansive, the period covered is from the fifth millennium bc to mid-fourteenth century AD. The book traces the development of the formative arts, through Archaic (pre-historic and proto-historic) Age, - sometime around the fifth millennium BC, which continued until the introduction of Buddhism in the sixth century AD. It studies Japan's ancient beliefs, that is, Shinto, and the impact of Buddhism on Shinto ; the creation of Ryobu Shinto and the emergence of Shinto art. A study of the arts of the Kamakura Period (AD 1185-1333) when the spirit of the new age was reflected in the works of the great masters in Buddhist sculpture and the rapid growth of picture scrolls or e-makimono, especially religious scrolls inspired by Buddhist sects. This book would be of great interest to students and research scholars, and also serve as an important reference work for teachers of Japanese art and culture.